The Grammy nominated blues-rock and Jazz singer and guitarist, Norman Jeffrey Healey was born on March 25, 1966 in Toronto, Ontario. He was adopted when he was a mere infant and at the age of one, he was diagnosed with retinoblastoma due to which he lost his eyesight. He started playing the guitar when he was only three years old and because of his blindness; he would play the instrument, laying it flat across his lap. Growing up, he developed a passion for music and played the guitar and trumpet in his high school bands. 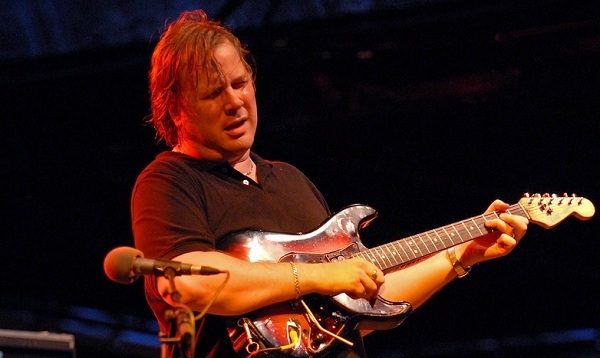 He used to study music theory in his spare time and in 1985, he formed his band, titled Jeff Healey Band. The band comprised of Healey along with Tom Stephen on drums and Joe Rockman on bass. The trio proved their talent and started giving performances in night clubs based in Toronto and gave over 300 concerts before they managed to sign a contract with Arista Records in 1988. The band soon released the album, titled “See the Light” which had hit numbers like “Angel “Eyes” and “Hideaway”, the latter which was also nominated at the Grammy Awards for the “Best Rock Instrumental Performance” award. Alongside this, they also recorded the soundtrack for the movie, “Road House” which garnered colossal success. Apart from the soundtrack, Healey was also given minor acting scenes in the movie opposite to Patrick Swayze. In 1990, the band earned the award for “Canadian Entertainer of the Year”, at the Juno Awards. From 1990 to 1994, Healey’s two albums, “Hell to Pay” and “Feel This” included over ten hit records which gained spots at the music charts in Canada. In 2000, after the release of his album, titled “Get Me Some”, Healey decided to revert back to his favorite genre of music; Jazz. He released three albums of old school American Jazz music from 1920s to 1930s and set up Jeff Healey’s Jazz Wizards for touring and recording jazz music. An avid fan of jazz music, he had in his collection, over thirty thousand vintage jazz records. He was also offered to host a program on radio, titled “My Kind of Jazz” where he would play tracks from his personal collection. In 2002, he set up a music club in Toronto which he christened as “Healey’s”. He would play there with his band alternating between blues-rock on Thursday and jazz on Saturday. Later, he moved the club to a bigger location and renamed it as, “Jeff Healey’s Roadhouse”. Healey has conducted numerous tours all over North America and Europe, performing with artists such as Bonnie Raitt, The Allman Brothers, Eric Clapton and Stevie Ray Vaughan among others. Apart from his own career, he also discovered and nurtured the careers of artists such as Amanda Marshall and Terra Hazelton. He has won numerous awards and honors such as the “Best Blues Album” award at the Independent Music Awards for his album, “Mess of Blues” in 2009. He was also included in the Terry Fox Hall of Fame in 2009 and in 2011; he was honored by renaming the Woodford Park in Toronto as the Jeff Healey Park. In 2007, Healey had to go through surgery for the removal of metastatic tissue from his lungs and shortly in 2008; he passed away from cancer at the age of 41.